Here’s an Inside Cosmetic Surgery first: a video! 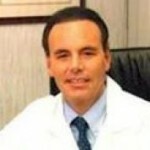 Take a look at this webinar interview we’ve done with Dr. Gary Hitzig, a board certified hair restoration specialist with Prasad Cosmetic Surgery. Some of the results are so incredible, that you have to see it to believe it! Dr. Hitzig walks us through the his hair restoration process, which includes the use of extracellular matrix technology (Acell) and platelet rich plasma (PRP), to promote cell duplication instead of scarring.